Set it. Forget it. Let OPTIZMO™ do the rest! Automate the transfer of large suppression lists and other datasets without the cumbersome task of managing the processes manually. Do you work with multiple partners that also work with multiple partners? OPTIZMO makes it easy for users who work with other OPTIZMO users to synchronize and link their suppression lists and customer files. By simply copying and pasting unique, authenticated access keys into your Linked List Profile(s) within your OPTIZMO interface, lists are synchronized instantly and on-demand, and this can be done infinitely. OPTIZMO then creates synchronous sub-ID’s for every linked list downstream of the source file so that regardless of who collects the unsubscribe, all linked lists are updated in real-time. 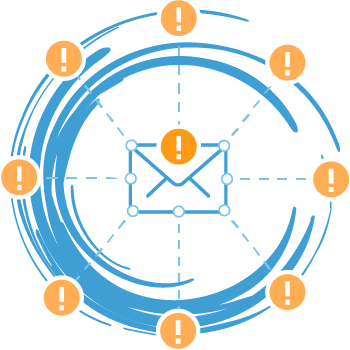 Some integration partners also support OPTIZMO’s proprietary List Linking and Synchronization technology, allowing advertisers to work with channel partners who do not use OPTIZMO and require the flexibility to generate sub-IDs across multiple email compliance platforms. 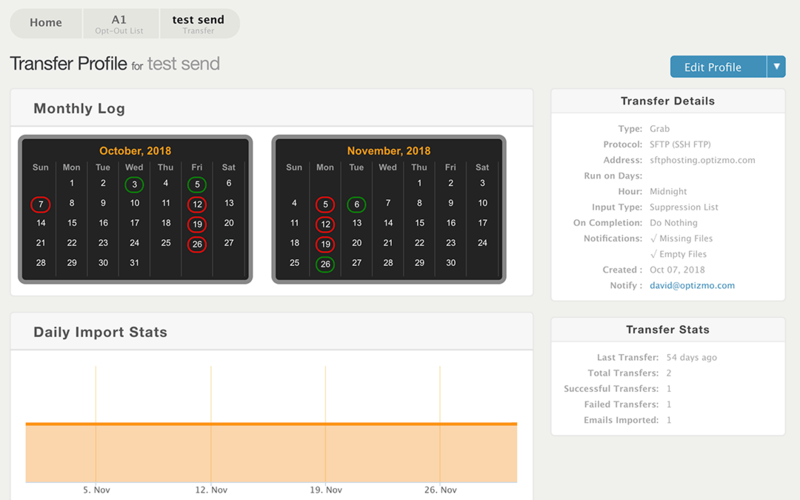 Real-time synchronization gives you complete transparency as to when alerts are triggered, how data is being distributed down the line, when data is being accessed, and when each and every new unsubscribe is added to one or more of your suppression files or customer lists, and through which 3rd party affiliate partner and their downline. 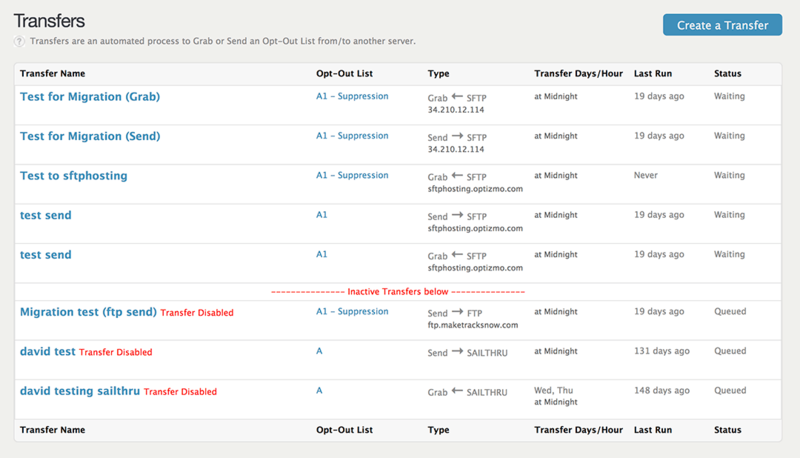 OPTIZMO’s automated transfer interface supports both Grab & Send transfers, where files from an external source are imported directly into your suppress account, and file transfers from within your OPTIZMO account to an external source. OPTIZMO natively allows users to easily ‘set and forget’ the sharing of lists through automated transfers, which can be set to run on specific days of the week or can be run on-demand. Daily import/export stats are logged along with notifications, if and when, a transfer fails for any reason. When utilizing our ‘Date Variable Algorithm’, files in queue to be transferred are intuitively sought after, based on specific date variables. If a date variable transfer fails, then the transfer will seek the next date variable in sequence and either ‘grab’ or ‘send’ that file to ensure your lists are always up to date and synchronized. Whether you are transferring data to or from your ESP, Email Deployment Solutions, or CRM platform – OPTIZMO supports the ability to transfer to or from any intermediary FTP, SFTP, or HTTP server and utilizes industry leading encryption standards for data security. If your intermediary servers are secured with usernames and passwords, OPTIZMO will intuitively login on your behalf and initiate the transfer process and then directly notify you or a designated person on your team of any issues with the transfer process.